HomeArticlesNASAs Kepler Space Telescopes to retire. 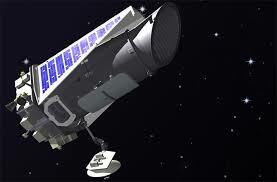 Kepler Space Telescope to retire of NASAs which was launched in 2009 will be retiring in 2018. It was NASAs first planet hunting mission. NASA’s Kepler space telescope was named on the German mathematician and astronomer Johannes Kepler. During it’s over nine year of life journey, Kepler had observed 530506 stars and detected 2662 planets. Is it true that NASAs Kepler space telescope retire ? What was purpose of Kepler Space Telescope ? 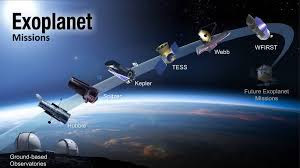 Kepler Space Telescopes mission was to detect planets like earth or Exoplanet in Milky Way galaxy and outside of it, so that we can search habitable planet. Extrasolar planet which are similar to earth, Mars etc, the first such planet orbiting star similar to our sun was detected only in 1995. After that, today about 3600 Exoplanet have been found which are ranging from rocky earth sized planets to large gas giant like Jupiter. What is next after Kepler ? Kepler telescope has done good job at his Time, now with advance techniqe and loww budget. The Transiting Exoplanet Survey Satellite in short called TESS is a space telescope of NASAs explorers program, designed to search for Exoplanets using the transit method in an area which is 400 times larger than that covered by the Kepler mission. So even if NASAs Kepler space telescope retires it’s research in astronomy can’t be foregatable.